• 'The Voice' Top 8 perform: MaKenzie Thomas, Kirk Jay, Chris Kroeze and Chevel Shepherd shine! • 'American Idol' crowns Maddie Poppe winner over Caleb Lee Hutchinson, and they're dating! 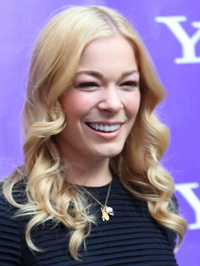 This webpage uses material from the Wikipedia article "LeAnn_Rimes" and is licensed under the GNU Free Documentation License. Reality TV World is not responsible for any errors or omissions the Wikipedia article may contain.